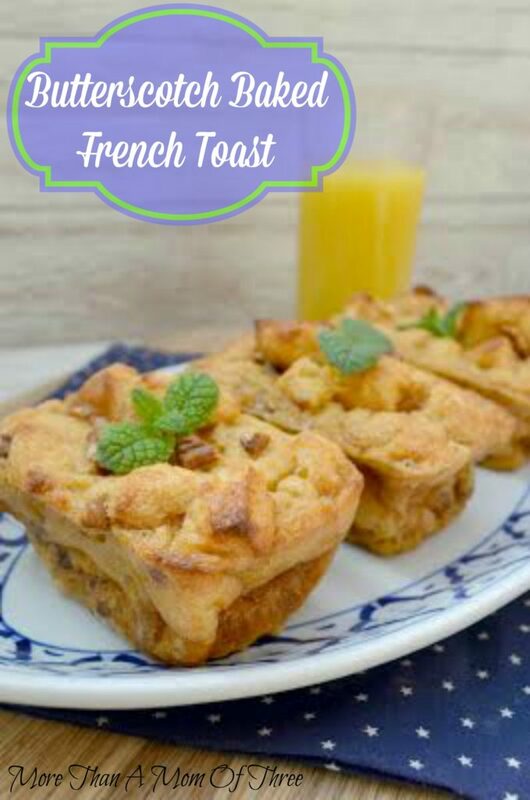 This Butterscotch Baked French Toast will look like you slaved over the stove making them all morning. They are so simple and come out looking beautiful! Perfect for a brunch or any quick and easy breakfast. I am telling you they are so simple to make yet a very impressive recipe once they hit the table. On the weekends we usually do a big family breakfast at least one morning. Since the weekdays are so crazy with school and my husband running off to work, we never have much time to eat breakfast together as a family of five. The Butterscotch Baked French Toast has become a family favorite and I get requests almost every weekend to make them. Nothing is easier than a simple baked french toast recipe. There is no more standing in the kitchen dipping and flipping each slice of bread. Mix,pour and pop them in the oven and you are done! In a small bowl mix the melted butter, sugar, pudding mix, and milk stir till well blended. Once it is well mixed add the whipped eggs. 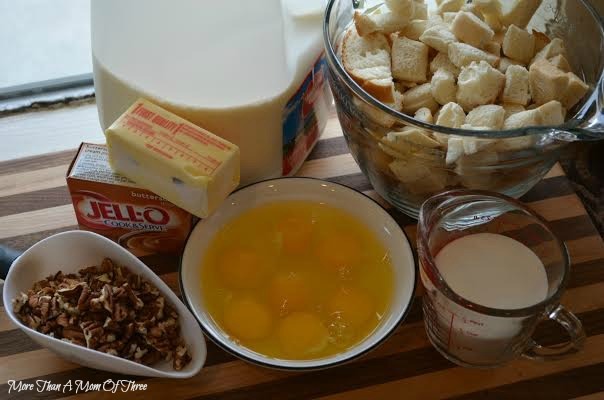 Pour this mixture over the cubed bread and nuts. Stir until well coated, let set for 10-15 mins to give the bread time to soak up the liquid. 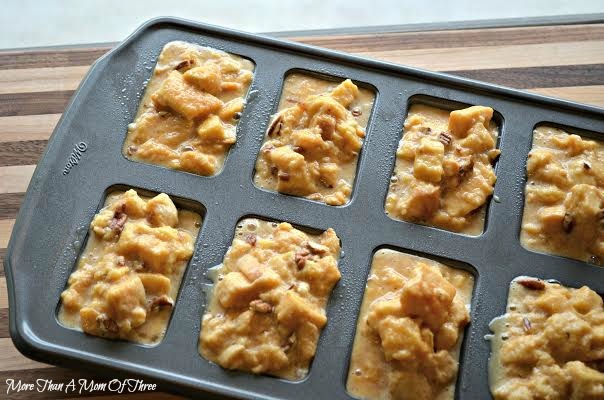 Put into a mini loaf pan, or cupcake tin (make sure you coat with non stick spray). Bake at 350 degrees for 30-35 mins.